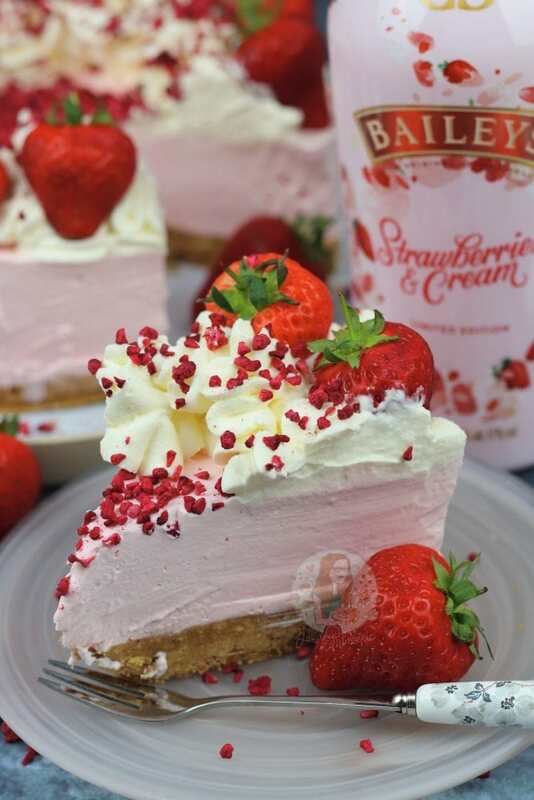 A delicious No-Bake Cheesecake made with the new Baileys Strawberries & Cream! So… the new Baileys finely came to the UK! Honestly, I am in heaven. To summarise the taste? An alcoholic strawberry milkshake. Honesty, its SO GOOD. Having it straight isn’t really my thing when its the normal Baileys, but when its one of the flavoured ones such as the Chocolate version, or the Almond one I am definitely a fan. I obviously love to bake with Baileys, and this is a straight up new version of my regular No-Bake Baileys Cheesecake, but much more up to date. 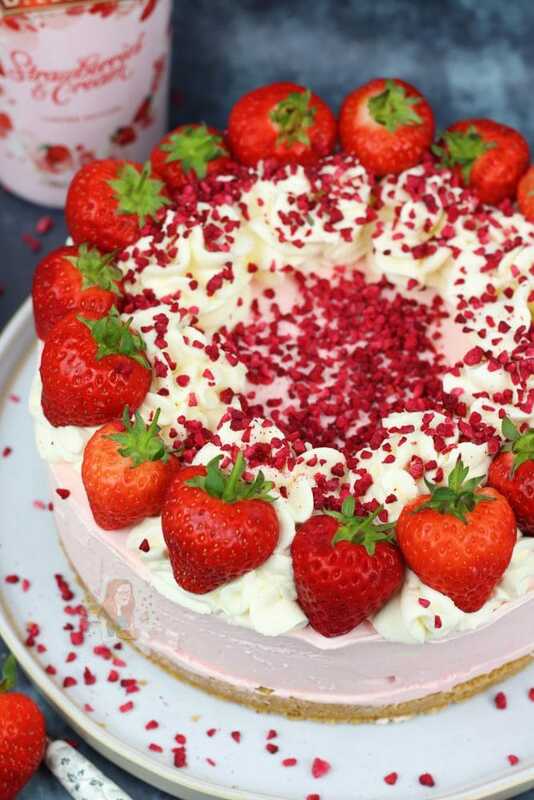 The older one does need an update (especially on the photos because they’re just awful) but I felt like this particular Strawberries and Cream beauty needed a post of its own. 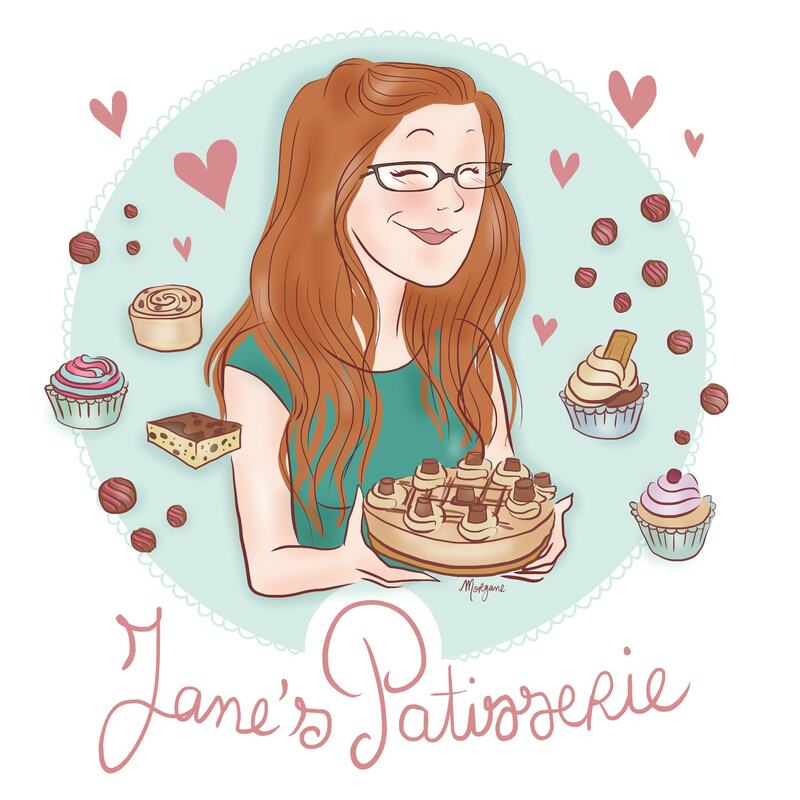 I also went for it and decided to make of those Tasty style videos for Facebook and Instagram, and discovered I can now attach videos to my recipes, so its also attached below! I desperately need to improve my filming techniques, but this is the first time I’ve filmed on quite like this, with decorations in the background, since filming a few videos like it with Cosmo, so I’m not that ashamed! I did struggle to let this Cheesecake set properly, because it literally just tasted so good. The mix itself, tastes like strawberry milkshake, and its like a dreamy pink mousse so its hard to resist. It does of course set once in the fridge, but you could try and make a mousse version and I’m sure it’ll still be utterly delicious. 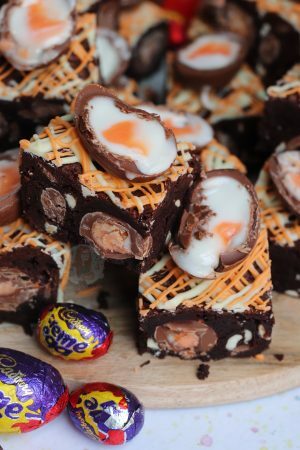 Reduce the cream cheese, and add in more double cream and you’ll have a winner! You can see from the bottle of the Baileys, that its an utterly beautiful pink colour. It makes you think of strawberry milkshake as well as the taste and I’m not complaining. However, when you mix the Baileys into the rest of the ingredients, the shade of pink goes away… which is why I put in a little more pink. This is completely optional, but I wanted to stick to the theme of the colour, so it was a necessity! 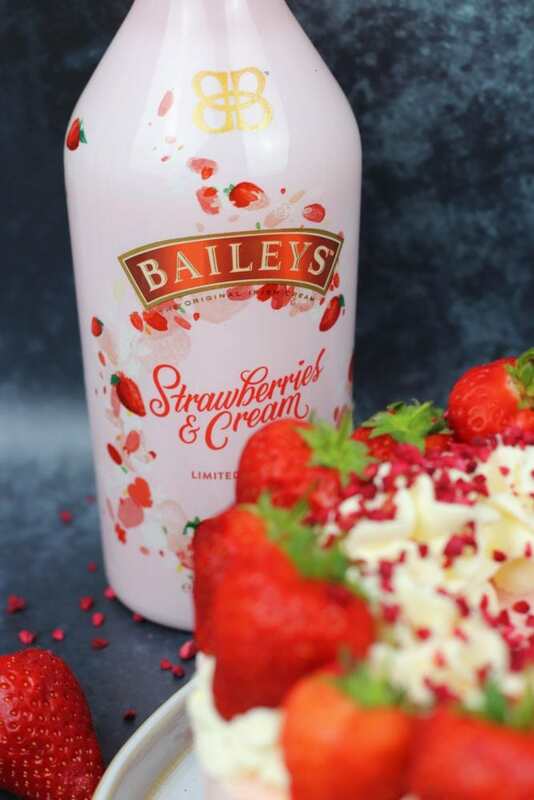 I ordered my Bailey’s Strawberries and Cream on DrinkSupermarket as my local Asda stores didn’t have any, and it arrived really quickly so I probably saved myself a lot of hassle. I do think maybe I should have ordered two bottles now though because I’ve already made this cheesecake twice which as used up 1/3 of the bottle! And a couple of drinks… so yeah… I need another. 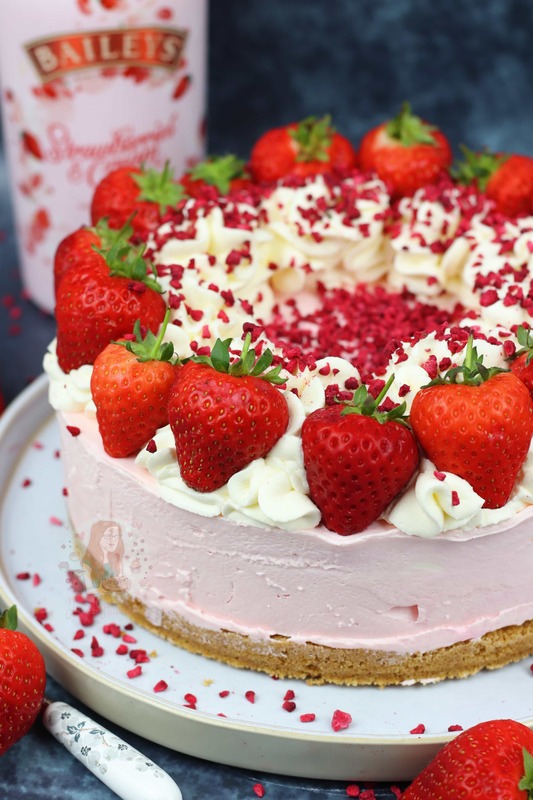 I did my usual sort of decoration for this, but because it looks quite similar to my No-Bake White Chocolate & Strawberry Cheesecake I didn’t want to add a drizzle of White Chocolate or anything. I’m glad I didn’t, as I think the swirls of cream, fresh strawberries, and freeze dried strawberries I had enough impact as it was. 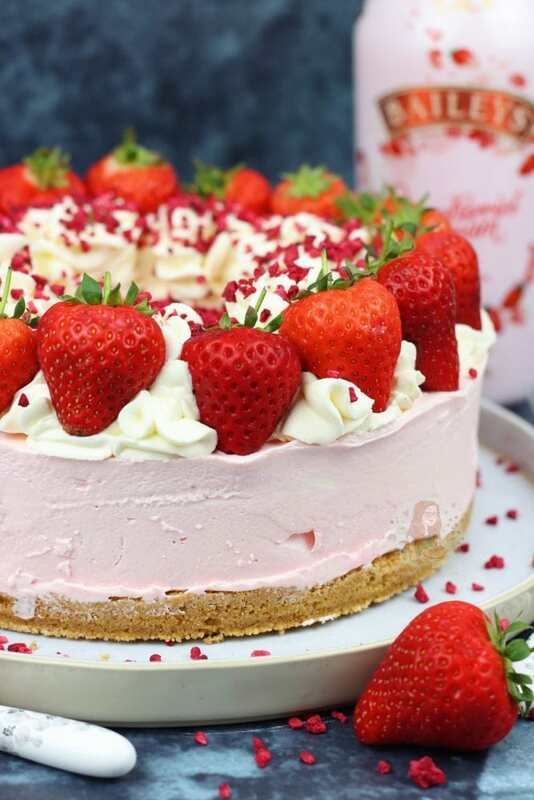 I honestly think this cheesecake just looks delicious, and if you’re a fan of Baileys, and Strawberries, you will utterly adore the taste as well. 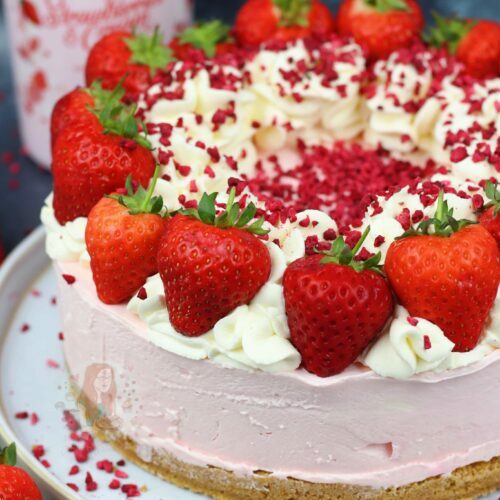 Baileys Strawberries & Cream Cheesecake! Blitz your biscuits in a food processor, or bash them up as finely as you can. Mix in the melted Butter, and press down firmly into the bottom of an 8"/20cm Deep Springform Tin. Leave to set in the fridge whilst you do the rest. In a stand mixer, add your Mascarpone and Icing Sugar and whisk till smooth. Add in your double cream and Baileys, with the pink food colouring if using, and whisk again till thick and combined. It doesn't take that long at all, and its better to be slightly under whisked than over whisked. If thick enough, it should still be smooth, but hold itself. So check often to see if its thick enough. Add onto your biscuit base and smooth it over. Chill in the fridge for 5-6 hours, or preferably overnight. Whip up the 150ml Double Cream and the Icing Sugar to soft peaks. 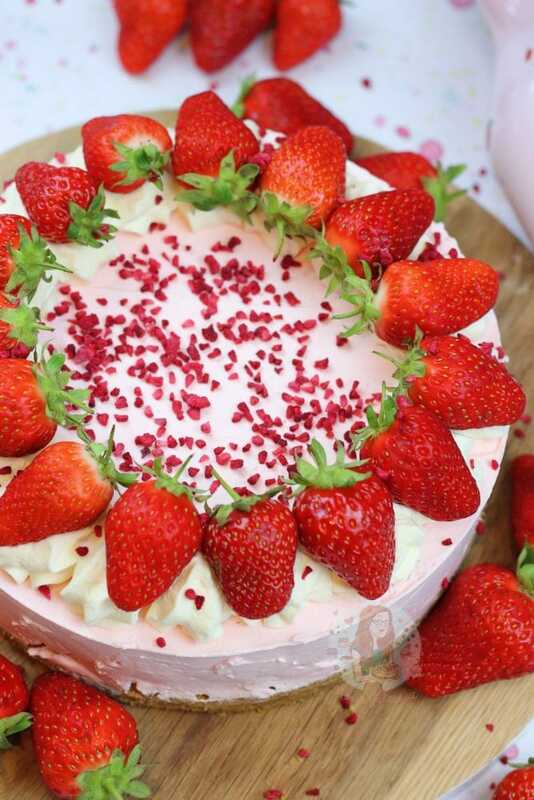 Pipe the Cream around the edges, and add a fresh strawberry to each swirl. Sprinkle over some freeze dried strawberries and serve! I used the new Baileys Strawberries & Cream, but you can easily use the regular one, chocolate one, or even try the Almond one! If you are unsure of it setting correctly, you can add in gelatine to help it set. Use packet instructions to do this. The cream on top is optional, but I think it looks pretty! If the fruit is good, the cheesecake will last for 3 days after setting! 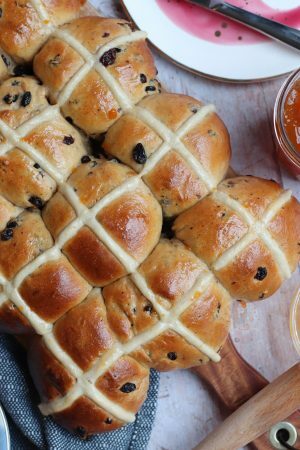 If you're worried its not set properly, you can freeze it for an hour or so before serving! I recommend using THIS pink food colouring for this cheesecake! Find my other Cheesecake & Baileys Recipes on my Recipes Page! Older Next post: Lemon Curd Mousse! Hi there. I made this cheesecake and it was beautiful. The only thing was that even though I let it set in the fridge overnight it was still quite soft and was messy when I tried to serve it HELP ! Do you have to use the food colouring? Will it still be a slightly pink colour if you don’t? There probably won’t be, the colour is very faint anyway so once mixed in with other ingredients it’s very very pale! What are digestives? Can I use graham crackers? What is double cream – perhaps heavy cream? Yes you can use graham crackers, and your nearest equivalent is heavy cream – although, the fat content is less in heavy cream so due to the amount of baileys, your cheesecake might set quite soft. I’d recommend using gelatine if you can! 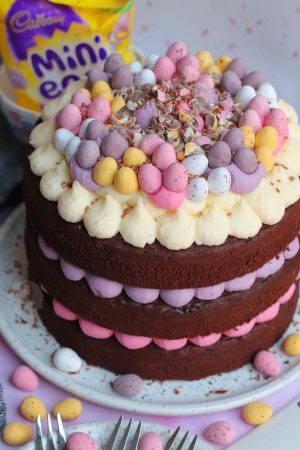 Just one questions…I’m not very experienced with food colouring – please could you tell me which brand you used and how much? 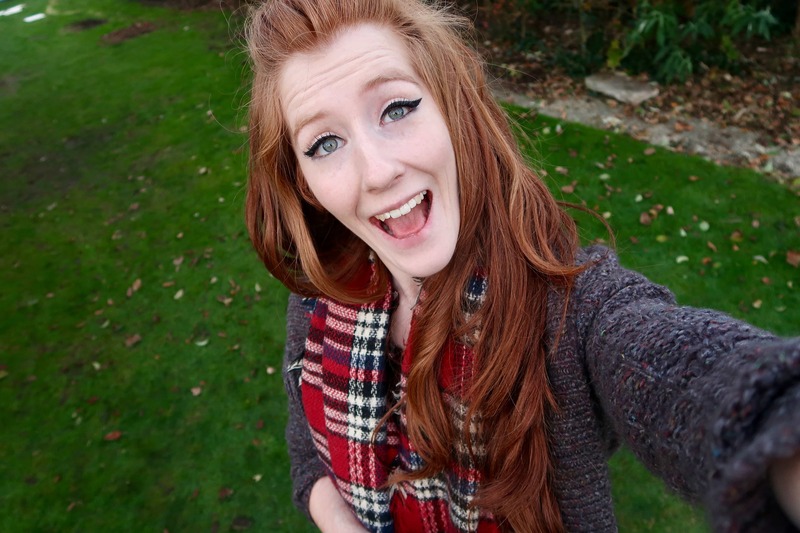 The colour looks perfect and I don’t want to spoil it with adding too much or too little! If you don’t like cream on its own or whipped, is there anything else you would use for the decoration? Umm some of the cheesecake filling? Other than that just leave it out and use fruit! Yeah, I usually use a stand mixer, for videos you can’t. As long as its an electric whisk its best. And I literally just slide a knife underneath, and it lifts off! 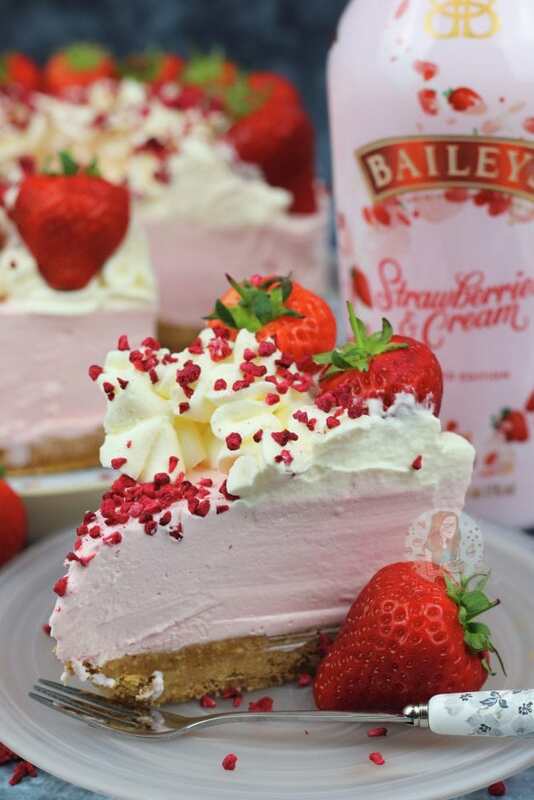 I would love to try your Bailey’s Strawberries & Cream Cheese cake but find that I don’t understand a few items. First what is icing sugar? Is that like granulated sugar or powered sugar? Also could I use whipped cream in place of the double cream for the topping. Icing sugar is Powdered sugar, but we call it icing sugar in the UK. and pre whipped cream tends to be the UHT kind, which will dissolve. Thanks for your reply Jane. I was wondering how long is needed to defrost a no bake cheesecake please? Also would the freezing add a little water to it as in other product freezing. Thank you! 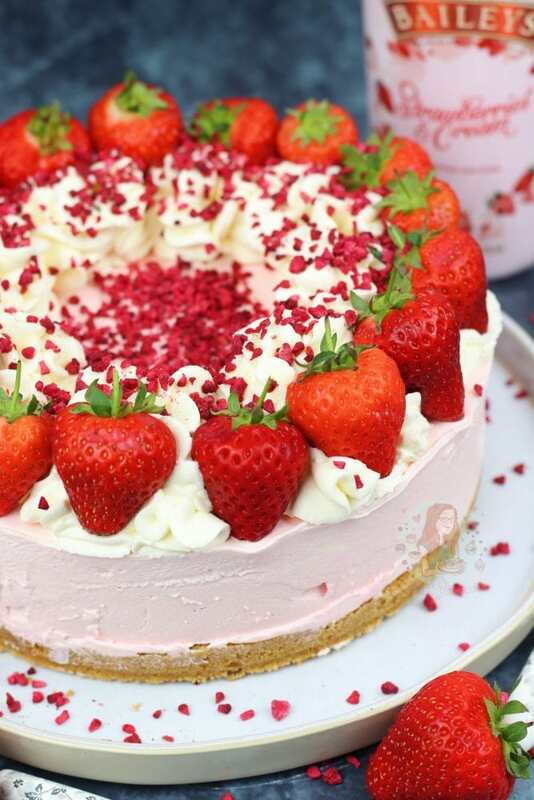 This strawberry Bailey’s & cream cheesecake looks divine and can’t wait to try it! I keep meaning to ask but how long would you be able to freeze any no bake cheesecakes for (in case I make some in advance)? Also would you leave it in the tin? Thanks! Ahh thank you!! And I usually go up to three months – and often I will leave it in the tin if I’m freezing for like up to a week, but otherwise I try to move it into a container of sorts if its going to be ages as I will need the tin to use again!